Bookmark http://sebooneyokasucca.org to access this page. Vice Chief of Ceremonies and American Indian Activities - PJ N.
Vice Chief of Membership - JT M.
The Order of the Arrow (OA) was founded by Dr. E. Urner Goodman and Carroll A. Edson in 1915 at the Treasure Island Camp of the Philadelphia Council, Boy Scouts of America. It became an official program experiment in 1922 and was approved as part of the Scouting program in 1934. In 1948, the OA was recognized as the BSA’s national brotherhood of honor campers and became an official part of the national camping program of the Boy Scouts of America. Today, the OA is recognized as Scouting’s National Honor Society. The Lodge name “Sebooney Okasucca” means ‘Old Hickory’, Andrew Jackson’s nickname. From the late 1940’s through the mid 1950’s, the lodge emblem depicted Andrew Jackson riding on his horse, an image taken the statue of Andrew Jackson in Jackson Square, New Orleans. The first emblem was a white felt diamond with red silk screen design and lettering. The emblem was designed to be worn on the sash. The Sebooney Okasucca Lodge was organized in 1942, chartered in 1943 and installed on May 5, 1944. A team from Caddo Lodge 149 in Shreveport, LA, inducted the new lodge. The first Lodge Chief was Pat Clendenning of Jackson, MS and the first Lodge Advisor was Claude Thompson of Vicksburg, MS. The Lodge’s Activities were based at Camp Kickapoo. In 1987, when the Council opened the Warren A. Hood Scout Reservation the Lodge moved its activities there. The region chief is the youth leader of the region and elected by the section chiefs in his region for a term of office specified by the national Order of the Arrow Committee, which coincides with the terms of the national chief and vice chief. This election is held in conjunction with the national OA planning meeting where the annual OA program of emphasis is planned. The region chiefs serve as voting members of the national Order of the Arrow Committee, representing youth on national OA policy and programs. 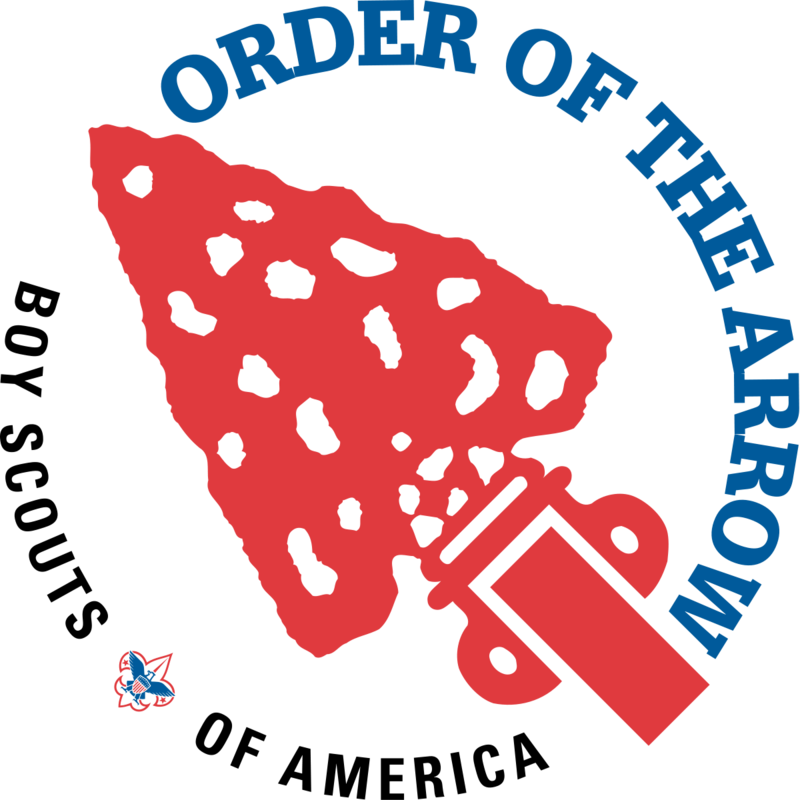 The Order of the Arrow region chairman is an adult appointed by the regional director. The professional adviser for the region is a staff member assigned to the position by the region director. More information may be found on the Order of the Arrow Web site, www.oa-bsa.org, at the National Council’s site, www.scouting.org; or in the Order of the Arrow Guide for Officers and Advisers, No. 34997C. The Order of the Arrow is Scouting’s national honor society. It recognizes those campers who best exemplify the Scout Oath and Law in their daily lives and, by such recognition, cause other campers to conduct themselves in such a manner as to warrant similar recognition, to promote camping, and to crystallize the habit of helpfulness as a life purpose. Each Unit with qualified Scouts is urged to hold an election not later than May 1 of each year to select candidates for the Order of the Arrow to attend the Spring Ordeal to be held at The Warren A. Hood Scout Reservation prior to the opening of summer camp on a date to to announced. A second Ordeal will be held at the reservation following the close of summer camp and on a date to be announced for those candidates who are unable to attend the spring ordeal. The date and place of the election are selected by you, as unit leader. Unit Elections are held only once per year and Unit Elections will not be conducted during the sessions at Summer Camp. A Scout who holds the First Class Rank, is under the age of 21, and is registered as an active member of the Unit may, with the approval of his unit leader, be nominated for election. Prior to the annual election, the unit leader must certify the nominee’s Scout spirit and youth membership qualifications. After registration with a unit, have experienced 15 days and nights of Scout Camping during the two-year term prior to the election. The 15 days and nights must include one, but no more than one, long-term camp consisting a six consecutive days and five nights of resident camping, approved and under the auspices and standards of the Boy Scouts of America. The balance of the camping must be overnight, weekend, or other short-term camps. Voting for youth candidates will be based on their spirit of brotherhood, cheerfulness (no matter how tiresome their duties) and a willingness to give unselfish and wholehearted service to others at all times. Selection of the adult is based on the ability to perform the necessary function to help the Order of the Arrow fulfill its purposes, and not for recognition of service, including current or prior achievement and position. The individual will be an asset to the Order of the Arrow because of demonstrated abilities that fulfill the purpose of the Order of the Arrow. The adult leader’s membership will provide a positive role model for the growth and development of the youth members of the Lodge. Unit elections should be held at a regularly scheduled unit meeting. Every effort should be made to have 100 percent attendance of both youth and adults at this meeting. An election team from the Order of the Arrow must be on hand to conduct the election.